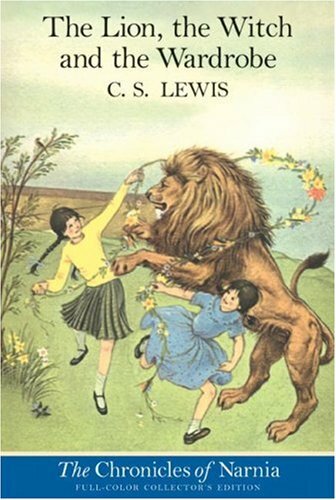 What is "literature for children"? infants, toddlers and the young people as target audience. stories, folk tales, myths, legends, fables, novels. reading means listening to stories acted as well as reading by oneself. that he can read the story for himself in his own book. 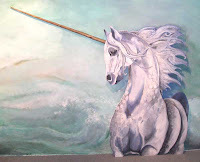 Myths mean person or thing, etc that is imaginary, fictions or invented. natural events, such as the seasons. Prometheus stole fire from heaven for them and taught them many arts. 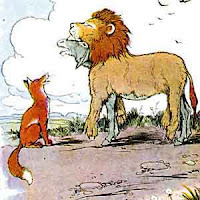 Fables are mainly didactic tales developed from several sources. • The stories have a lesson. They’re didactic. • Animals and natural elements (i.e. rocks, the wind…) can speak as humans. • Characters represent human characteristics or behavior. They have no name. • Plots usually present a single event. Was a French writer who lived in the second half of XVII century. He was one of the first writers in European literature who turned his eyes to folklore. 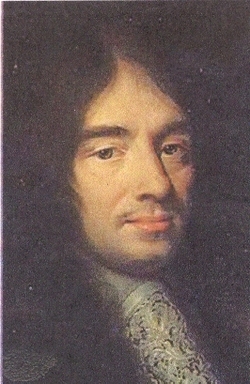 Born 1628 in a clerical bourgeois family, Perrault received legal education and had high royal office. 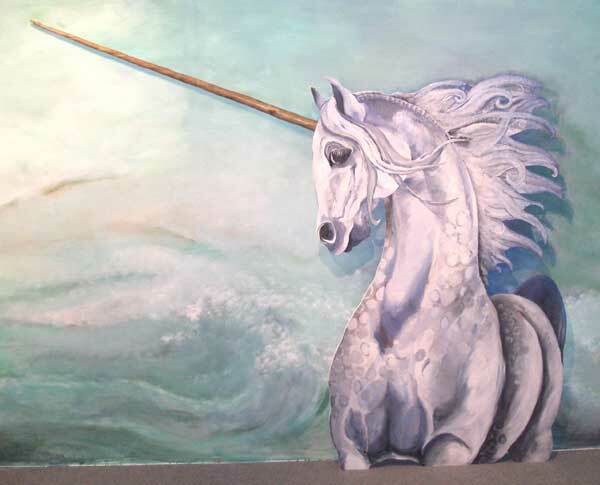 In Folk Art Perrault found rich stories and images to create new artistic works. He turned to folklore by collecting a number of stories and published them in 1697 under the title "Tales of mother Goose". This collection included eight fairy tales, including "Little Red Riding Hood", "Puss in Boots", "Little Thumb" and "Cinderella." The Brothers Grimm became famous as the authors of fairy tales and were the most important historians of medieval language and folklore. The romantic movement in Germany (a movement in the arts that favored a return to nature and a greater focus on national culture, especially folk tales) awakened the Germans' interest in the past of their own country. Although some work in the rediscovery and editing of medieval (from the Middle Ages, 500–1500) German literature had already been started in the eighteenth century, it was the poets and theorists of the next century who first focused national attention on the origins of German culture and literature. While most of the poets viewed medieval literature mainly as an inspiration for new writing, others turned their attention to the investigation of the past. 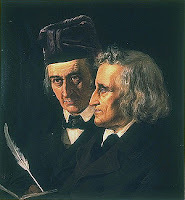 The Grimm brothers were the most important of these early language and folklore romantic historians. The Grimm brothers' last years were spent in preparing a complete dictionary of the German language, tracing the origin of every word. The Grimms' dictionary was carried on by generations of scholars after the brothers' deaths, and it was finally finished in 1960. 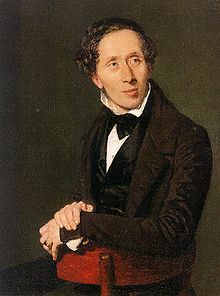 Its completed form consists of sixteen large volumes.Wilhelm died in Berlin on December 16, 1859. Jakob continued to work on the dictionary and related projects until his death in Berlin on September 20, 1863. Was a Danish writer, born in Odense. Physically unattractive, had a sad youth, marked by loneliness, melancholy, suicidal ideation and naive mysticism. 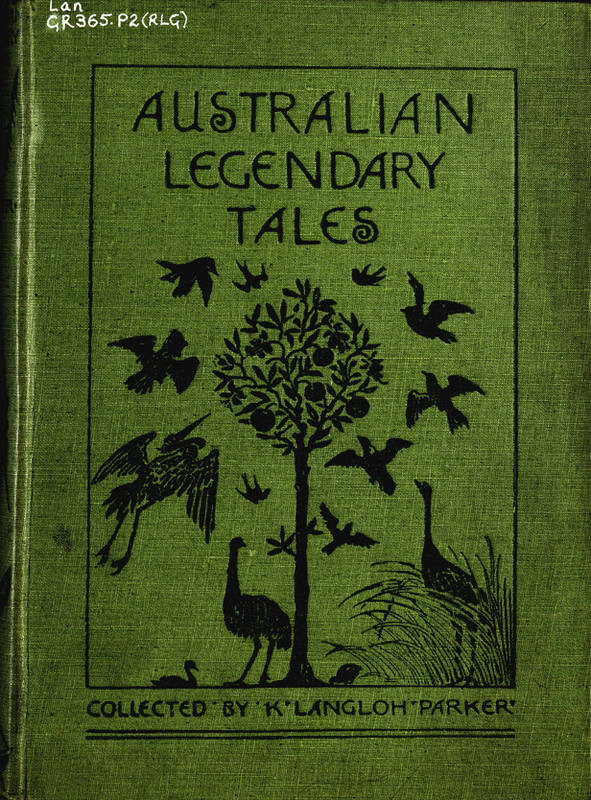 Andersen is known above all for his children's stories, written from 1835, with considerable success, editing from there almost one volume per year. 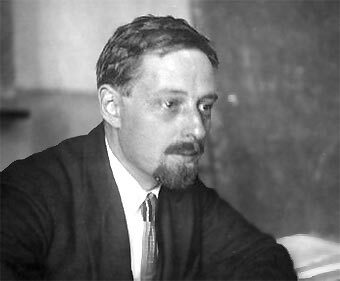 Was a Russian formalist who dedicated himself to investigate the similarities of the stories through a fairy tale morphology. In his "Morphology of the Folktale" (1928), Propp, based on historical analysis of ethnological materials relating tales from Africa, America, the European classical world, of Byzantine and Russian folk storytelling, and concludes that tales reflect historically locatable, previous mystical conceptions. 1. Constant and stable elements of the story, are the roles of the characters, regardless of who performs or its embodiment. 2. The number of functions (or actions) that occur in the story, is limited. 3. The sequence of functions is always identical. The villain who struggles against the hero. The dispatcher who makes the lack known and sends the hero off. The (magical) helper who helps the hero in their quest. The princess or prize :which is what the hero deserves, usually when it is about a princess the hero is unable to marry her because of an unfair evil, usually because of the villain and the hero's journey is often ended when he marries the princess,thereby beating the villain. Her father who gives the task to the hero, identifies the false hero. Propp noted that functionally, the princess and the father cannot be clearly distinguished. The donor who prepares the hero or gives the hero some magical object. The hero or victim/seeker hero who reacts to the donor, weds the princess. Was an Austrian-born American child psychologist and writer. He applied psychoanalytic principles to social problems, especially in child rearing. 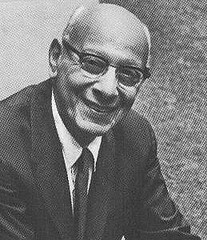 Bettelheim was a good storyteller and popularizer of Freud's ideas, and his books sold very successfully. He recounted his clinical experience in three books about the Orthogenic School, Love Is Not Enough: A Treatment of Emotionally Disturbed Children (1950), Truants from Life (1955), and A Home for the Heart (1974), and in The Empty Fortress (1967), which studies three cases of autism. The Meaning and Importance of Fairy Tales (1976), a study of the role of fairy tales on the development of the unconscious, is Bettelheim's best-selling book. He also wrote a book on education in the kibbutzim, The Children of the Dream (1969), and many other works on children's education (Dialogues with Mothers, 1962; A Good Enough Parent, 1987; and numerous articles). Dr. Bettelheim taught us that fairy tales are an endless source of aesthetic pleasure and have great influence in the education of children. 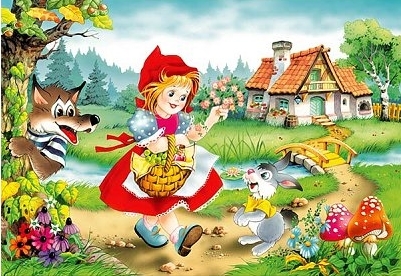 Fairy tales - Little Red Riding Hood - Cinderella - Snow White -Sleeping Beauty - Hansel and Gretel - exert a liberating function and training for child mentality and endow it with moral and emotional support. 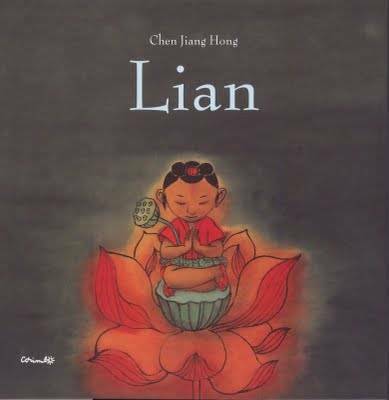 By identifying with the same characters in the stories, children begin to experience for themselves feelings of justice, loyalty, love, courage, not imposed lessons, if not as a joyful discovery, as an organic part of the adventure of living. Maria Tatar is a teacher and a writer. She's not just any teacher though; Tatar teaches folklore, children's literature and Germanic culture studies at none other than Harvard University. She chairs the Program in Folklore and Mythology. In an interview you can see at the Barnes & Noble website, Tatar says that the combination of horror and beauty is what drew her into the study of folklore. The woman is a prolific translator and annotator of classic fairy tales and has made herself "the" expert in the field. Maria Tatar expresses that stories share moral aspects, giving life's lessons and transmitting wonderful messages for kids. Nevertheless, she explains that moral is added to fairy tales when they are rewritten for children. 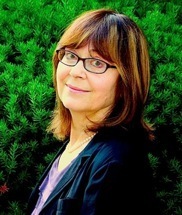 She is the author of Enchanted Hunters: The Power of Stories in Childhood , Off with Their Heads! 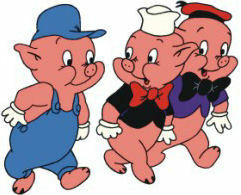 Fairy Tales and the Culture of Childhood and many other books on folklore and fairy stories. She is also the editor and translator of The Annotated Hans Christian Andersen, The Annotated Brothers Grimm , The Annotated Classic Fairy Tales, The Annotated Peter Pan, The Classic Fairy Tales: A Norton Critical Edition and The Grimm Reader . She lives in Cambridge, Massachusetts. In an interview for the Harvard Gazzete , Tatar talks about writing her book The Annotated Classic Fairy Tales (W.W. Norton 2002), teaching fairy tales and why she thinks the tales appeal to such a wide age group. Is the contemporary educational philosopher and a student of the classics, anthropology, cognitive psychology, and cultural history. 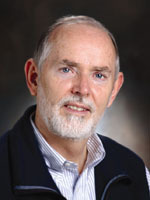 Kieran Egan criticizes the principles underlying the teaching in primary schools, whereby children learn only if we proceed from the concrete to the abstract, from the known to the unknown, from the simple to the complex, and the conceptualizing symbolicmanipulation. These approaches neglect the fundamental tools with which children have to attribute meaning to their experience and the new information they receive: imagination and fantasy. Currently most of the authors, based on empirical observations, assert that children learn from what they already know. Therefore, when children come to school, are able to produce mental images and abstract knowledge have paired some very powerful: goodness/ badness, courage / cowardice, true / false, etc.. Both mental imagery as abstract knowledge allow children understand Snow White, or have in his mind the animals talk, even when they know from experience that this is not so. If we know that the above is true, then we cannot say categorically that the child learns from the concrete to the abstract. Therefore we cannot say that history is not taught to young children because they lack the knowledge needed to make sense of abstract. Children have the conceptual tools necessary to make sense of history, to learn about our past, to understand the struggle for freedom and against violence, etc.. Children use these concepts to learn about aspects of the world and experience. In Africa, in the grand scheme of things and time, printed material is a fairly new development, so these stories had to survive through generations without being written down. 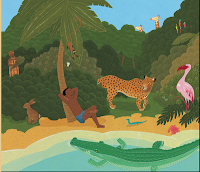 African folktales are intended to teach people, particularly the young people, about life lessons and ways they should conduct themselves in order to succeed in life and love. Most of the stories come from the south of the continent and , as is common in the oral tradition stories, appears animals with human characteristics and a high burden of symbolism. The stories are often accompanied with a moral end. Anansi (as he is known in Ghana), the famous spider is usually the “bad guy”; a frequent trickster in folktales circulated around the vast continent, he goes by many different names depending on the country and tribe where a story is being told. Through the character of Anansi, listeners can learn from his wise, humorous, and sometimes idiotic ways. This legendary character of Anansi has even travelled as far as Caribbean island folk tales, where he has the name of “Ti Malice” in Haiti for example. The vast savannas, muddy rivers, and spectacular sunsets provide a diverse backdrop against which the stories take place. 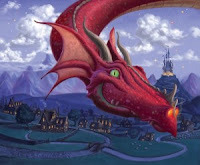 Just like in real life, and quite unlike the majority of Western folktales, not many African folktales end with “happily ever after”, but they spread important life lessons of selflessness, community engagement, honor, loyalty, honesty, and friendship. Within the Asian continent the most famous tales are Arabic folktales, Chinese folktales, Indian folktales and Japanese folktales. This tales are told in their local dialects (Japanese folktales for example) which may be difficult to understand because of intonation and pronunciations differences, conjugations and vocabulary. The animals or creatures are known by their abilities, foxes are mentioned frequently for instance. Another characteristic that these tales contain is marriages between humans and non-humans. The Asian tales allow children to experience the culture and heritage or tradition. Similar to tales of other cultures, there are preserved elements of ancient story types combined with folklore of indigenous peoples. 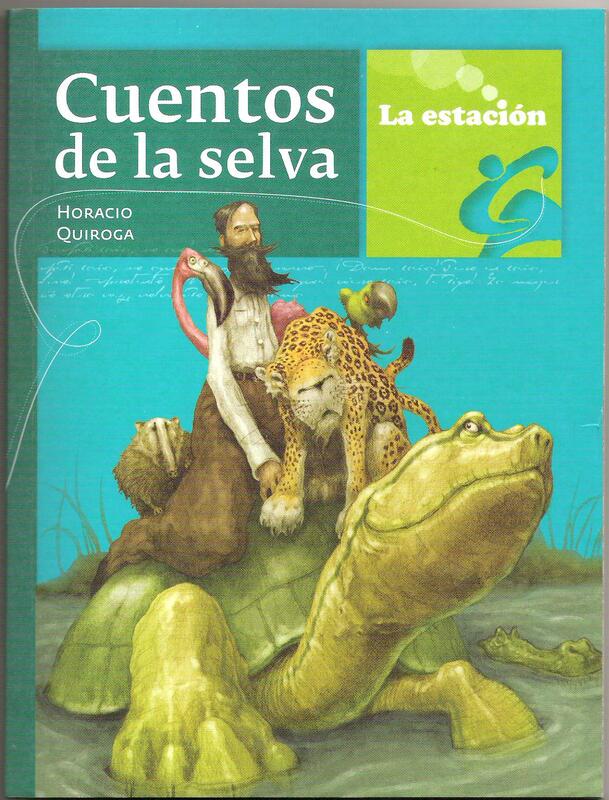 In Mexican culture there are many popular cuento-tales of magic, many of which are based on historical events. There are also many creation (pourquoi) and religious stories. The trickster and noodlehead are familiar characters. Myths and Legends of the Australian Aborigines give us access to the fascinating and unknown universe of cultures whose origins are lost in the mists of time. In the visions of the Dreamtime the border between man and animal, between earthly and celestial bodies, are often blurred. All elements of the cosmos participate in a mysterious symphony of subtle harmonic nuances. Aboriginal children were told stories from a very early age; stories that helped them understand the air, the land, the universe, their people, their culture and their history. Elders told stories of their journeys and their accomplishments. As the children grew into adults they took on the responsibility of passing on the stories. These stories are as much a cultural necessity as they are entertainment and are still passed on orally though many are now recorded in print, audio and video.